TP-Link, a popular networking product manufacturer, has launched its new Archer C5400X gaming router. 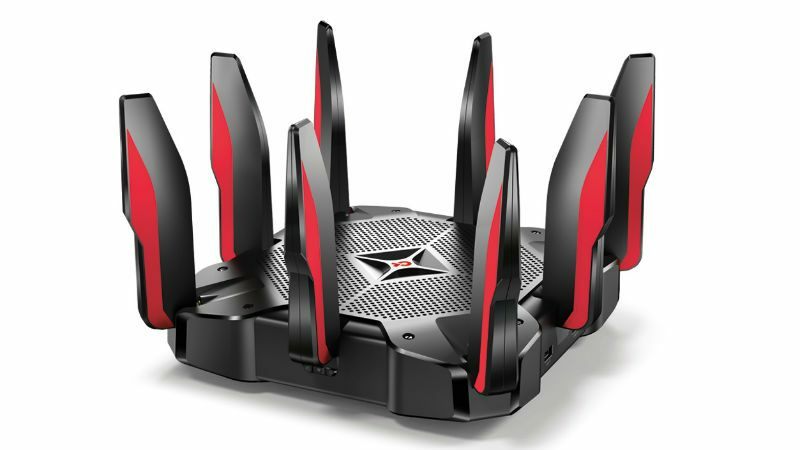 The C5400X MU-MIMO Tri-Band Gaming Router is claimed to be designed to deliver strong and reliable Wi-Fi for heavy-bandwidth gaming and 4K video streaming, and it also comes with support for Amazon Alexa. Equipped with TP-Link HomeCare, the Archer C5400X features security and antivirus protection powered by Trend Micro. Similar to most fully loaded routers, the C5400X does not come cheap, as it is priced at $399.99 (roughly Rs. 28,700). The Archer C5400X is claimed to deliver Wi-Fi across an entire house. It features a 1.8GHz 64-bit quad-core CPU, three co-processors, and 1GB of RAM. It is capable of delivering Wi-Fi speeds up to 5400Mbps over one 2.4GHz (1000Mbps) and two 5 GHz (2167Mbps) bands. Additionally, it features three Wi-Fi bands, eight Gigabit LAN ports, and one Gigabit WAN port. The new TP-Link router features a gaming mode that helps during heated raids, PvP encounters, and ranked matches. With the specifications and its price range, the Archer C5400X will compete with the likes of Netgear’s Nighthawk Pro gaming router. The Archer C5400X uses Smart Connect to identify optimal Wi-Fi band for every device and steers them to the right band by intelligently balancing load to deliver peak performance, the company claims. Also, it uses MU-MIMO and Airtime Fairness to manage the Wi-Fi needs by maximising total throughput and minimising delays. The C5400X router comes with RangeBoost technology to provide better reception quality and sensitivity from a distance. As mentioned, Archer C5400X also comes with Amazon Alexa and IFTTT support. This tri-band router is available in the US via Amazon, Newegg, Fry’s Electronics, Micro Center.